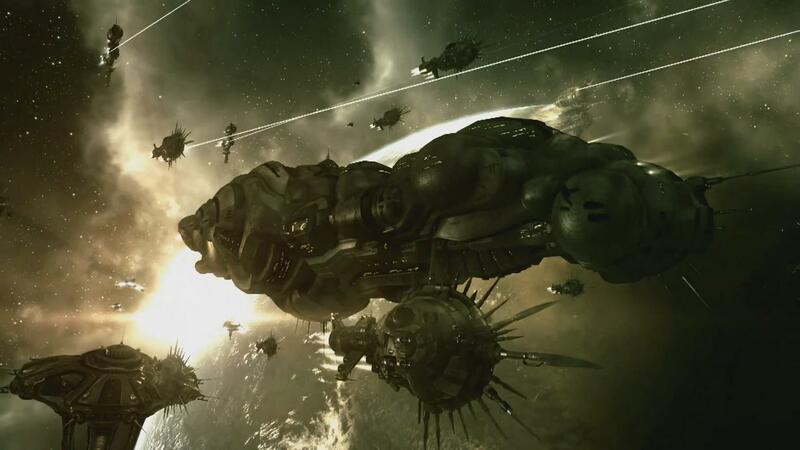 On Thursday, July 2nd, elements of the Gallente Militia put into effect the first part of their plan to take the Caldari fortress system of Kehjari. What followed was the most intensive fighting seen in the Gallente/Caldari warzone in recent memory. From the time that the real conflict began on Friday evening to the close of battle on Monday afternoon, some 3000 ships were destroyed in the course of a single, rolling 70-hour battle. The system of Kehjari is the gateway to the Urpiken constellation in Northwest Black Rise and stands as the sentinel guarding a third of the Caldari militia’s current territorial holdings. Kehjari is a chokepoint that controls direct access to a pocket of seven other systems and is thus of considerable strategic importance. The system was retaken by CalMil forces in December 2014, following the Gallente sweep of the warzone and has been defended since then by The Bloc alliance [BLOC]. It is two jumps from the Gallente fortress system of Eha. The assault on Kehjari was planned and led by Spaceship Bebop [BEBOP], the most powerful organisation in the Gallente Militia. BEBOP was formed in the wake of last year’s Gallente successes by two of the most active veteran corps in the militia – Justified Chaos [JUSTK] and Black Fox Marauders [BLFOX] – and has since absorbed a large proportion of the most experienced corps in the militia, including such well-known and longstanding Gallente names as Quantum Cats Syndicate [QCATS], Spiritus Draconis [SP-DR], as well as CTRL-Q [CL-Q]; a leading light of Iron Oxide in the Minmatar Militia for years. Spaceship Bebop is home to some 500 pilots, and zKillboard statistics identify circa 120 active PvPers in any seven day period. Supporting BEBOP in their attack was another veteran alliance, Villore Accords [GMVA], adding another 105 active PvPers (310 on the books) to the potential pool of attackers. Many other militia groups also contributed to the Gallente forces throughout the battle. Bebop’s primary target was The Bloc [BLOC], an alliance which has grown into the largest in the Caldari Militia over the last nine months. BLOC originally formed around its executor corp, The Mjolnir Bloc [MBLOC], in the wake of the Caldari Militia civil war of early 2014, with the aim of creating a drama-free zone. Relative newcomers to PvP and FW at the time, MBLOC and BLOC were initially focussed solely on roaming. After the Gallente sweep of Caldari systems last summer however, they felt compelled to get involved in the territorial control game, in order to improve the health of the war zone. The alliance is composed of a multi-national mix of corps, including English-speaking, German, Slovenian and Francophone corps, the majority of whom are also newcomers to FW. Supporting BLOC was the rest of the Caldari Militia Coalition (CMC); a mutual defence organisation that includes the two other territory holding alliances in the Militia: The Heiian Conglomerate [HECON] and Templis CALSF [CALSF]. HECON controls a pocket similar to the Urpiken constellation in North East Black Rise, basing out of the system of Okkamon, while Templis, the only organisation on the Caldari side with the same length of service as most of the key Gallente groups, travelled to the battle from their home 16 jumps away in Hasmijala. The opposed forces arrayed for battle in Kehjari were, on paper, almost perfectly balanced numerically. BLOC’s paper strength stood at 320 pilots with 105 actives, HECON’s 200 with 50 actives and Templis’ 220 with 56 actives, giving the CMC forces a total of 740 pilots and 211 actives against the BEBOP/GMVA potential of 810 with 225 actives. Whilst in a battle report for a major nullsec battle the reader will want to know about fleet numbers rather than total alliance strengths, the nature of a Faction Warfare system control battle is rather different. It is a distributed affair, consisting of hundreds of small battles spread out over a period of days, with pilots rotating in and out of the combat fleets as they log on and off. Each day after downtime, a set of plexes will spawn in each FW system. These plexes come in four types: Novice, Small, Medium and Large. Only T1 and faction frigates can enter novices; T2 frigates and destroyers can join fights in smalls; cruisers are allowed into mediums, and any ship size can enter a large plex (the only plex size without a gate). In order to take a plex, militia pilots must stay within 30km of the ‘button’ in the centre of the plex and run down a timer. If a pilot from the opposing militia warps into the plex during this time, the timer stops until only one faction is left on grid. Plex timers range from 10 minutes in novices and 15 in smalls, to 20 minutes in medium and large plexes. If one side starts to run down a timer before being pushed out of the plex, the other side has that amount of time added to the time they have to spend running the plex (e.g. if the Gallente have run a medium plex for 15 minutes before being pushed out, the Caldari will have to hold the plex unopposed for 35 minutes to complete it). Completing a plex, regardless of its size, gains the winning side 20 victory points, which are either added to or removed from the contested level of the system depending on whether they are won by the attacker or the defender. Systems start at 0% contested and reach 100% contested when 3000 victory points have been added by the attacker, at which point the iHub becomes vulnerable and can be attacked. Successfully bashing a vulnerable iHub flips the system to the attackers faction. This means that each plex taken by the attackers will advance the contested level by about 0.7%, and each win by the defenders will reduce it by the same level. New plexes spawn 30 minutes after the previous plex of that size was completed and, as a rough rule of thumb, a side plexing unopposed can add or remove circa 3% an hour of the contested level, although this number can be higher in the hour immediately following downtime. Without any opposition it will take roughly 34 hours to make a system vulnerable, and if there is no opposition, this can be done with just two or three pilots. When an assault is opposed, on the other hand, each and every plex is a potential battleground for a small gang or whole fleet, and some plexes will be contested a number of times before they are completed if the losing fleet is efficient enough to reship and return for another fight before the timer runs out. Various elements in GalMil had targeted Kehjari for a weekend assault four times in a period of eight weeks between late March and early May. None of these assaults involved a full deployment from BEBOP, but some were supported by individual corps within the alliance. Each of the attacks started with the system already over 30% contested due to the constant solo and microgang plexing. BLOC’s response after the fourth assault was to establish a gatecamp, led by Goey Kihal, in order to stop the constant flow of casual plexers entering Kehjari, prevent the contested level hovering in the 30’s, and remove the attraction of making casual weekend pushes. The gate camp was extremely successful, catching hundreds of war targets each week and slowly choking off the solo and small gang plexing going on in Kehjari and the rest of the Urpiken pocket. Goey’s multi-boxed Ashimmu supported by two Augorors became notorious among the local Gallente pilots, and all attempts to break the camp failed, including a Black Ops battleship drop that saw the bait battlecruiser and two of the BLOPs battleships left on the field as smoking ruins, with the last getting away by the skin of his teeth . However, the success of the gate camp and the reinforcement of Kehjari with additional BLOC pilots led to a drop-off in the easy content that BEBOP pilots had enjoyed by simply turning up in Kehjari and forcing fights by plexing. “The plan was hatched in the week-and-a-half preceding the weekend of the 4th of July. The warzone had grown quite stale as far as our interaction with war targets was concerned, and a group of us in JUSTK decided to push a system in our area to see if we could get some fights. We decided on Kehjari as the obvious choice, right next to one of our homes in Eha, and home to one of the larger Calmil alliances,” said Veratrix, lead Gallente FC for the Kehjari assault. A major difference between this assault and the ones in previous months was that this one would involve the full deployment of the alliance and would operate out of reshipping POSes in Kehjari. Most of the reshipping in the previous battles had involved going two jumps to Eha. This was critical to the volume of combat that was to develop over the course of the battle. BEBOP’s logistics machine is well-oiled, very experienced and able to keep a constant stream of ships flowing into the reshipping POS to replace large numbers of losses every hour, providing enough ships of a dozen or so different doctrines for the Gallente pilots to swap in and out of as the FC demands. BLOC was similarly well supplied and a consequence of this logistical balance was that a fleet on either side that had lost all its ships could be back out and into battle again within minutes. Having worked out their plan and stocked their POS, BEBOP started to let their allies know what they intended. The strategy was to start the push in the late US timezone on Thursday night using a team of pilots from JUSTK. Leaders in JUSTK picked this as the likely log-off time for BLOC’s strong contingent of early US players and the hope was that the system could be pushed up to 30% by the morning. The plan worked better than expected, and the Gallente assault faced no opposition at all until the middle of Friday afternoon, by which point the system was 54% contested. Unbeknownst to the BEBOP planners, every single BLOC FC and the majority of the alliance directors and officers were committed to personal, work or family engagements, many for the whole weekend, although some were due to return on Saturday. BLOC not only found itself with no FCs, but no one with normal access to the alliance ship reserves throughout Friday afternoon and evening. BLOC’s CEO made a number of field promotions to adjust for this and started calling for aid from their coalition partners in HECON and Templis, who rallied to the task impressively throughout the afternoon and evening. Critically, experienced HECON and Templis FCs were able to start effective defensive operations and to begin trying to slow the assault down. For four hours, from 1600 to 2000, the CalMil Coalition forces under allied command prevented any further gains. However, as Gallente numbers increased again in EU prime, the contested level started rising again. EU prime saw 3-4 hours of heavy fighting with GalMil being overwhelmingly victorious, and their numerical advantage only increased during the transition to US prime. Eventually, this forced CalMil forces to simply dock up and lick their wounds, allowing the Gallente to run the plexes largely unopposed. 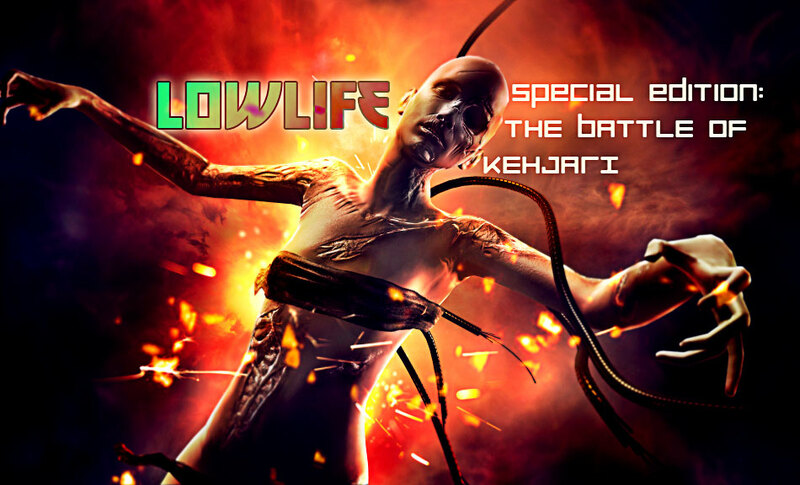 Kehjari remained stable at 65% contested through downtime, and at roughly 1400 on Saturday afternoon, the second phase of the battle began. As BLOC FCs, leadership and line members started to return to the game on Saturday afternoon, and weekend players on both sides began to add their numbers to the fray, the frequency, intensity and size of the engagements in Kehjari began to increase rapidly. Having surveyed the ship stocks in system, CalMil leadership made the decision to bring more in, and the order went out to Eve Austerity, the newly arrived BLOC Skymarshal, to take every single fight and damn the ship losses. The aim now was to slow the assault down and bleed momentum from the attack, letting battle fatigue amongst the Gallente troops that had been fighting since late Thursday do the rest of the work. If GalMil could add to the contested level even half of what they had achieved the previous day, they would take the system on Saturday. A second environmental factor that reared its head on Saturday and slowed down the rate of Gallente gains was the effect of DUST 514 on the system. Victories in DUST can add or reduce the number of victory points needed to take a Faction Warfare system significantly, potentially being able to change the 3000 point target by up to 25% in each direction. When the Gallente Militia took Kehjari in May 2014, the effect of DUST was extremely significant, removing 20% of the victory point target. This time, the dice rolled in favor of the Caldari, albeit not as significantly. When the battle began, DUST was adding 4% to the number of victory points needed to take the system but this rose to 8% over the course of Saturday, wiping out 4% of the Gallente gains. It remained at this level for the rest of the battle. Going into the USTZ on Saturday night, the system was at 78% contested. As the balance of numbers swung in favour of the Gallente, CalMil forces had no choice but to continue throwing themselves into plex fights to slow Gallente gains as much as possible, sacrificing ships for time. Caldari FCs and pilots maintained an impressively high morale throughout this period, despite taking heavy losses. While the Gallente were able to gain roughly 15% during US prime on Friday night, CalMil forces limited the increase to 7% on Saturday night/Sunday morning, with the contested level reaching 84% by 0600. Although the Caldari fleets slowed the Gallente advance significantly throughout Saturday, the contested level was becoming critical and Caldari hopes were hanging on the ability of their AUTZ to push the level back down hard before and after downtime; however, an impressive showing of dedication from pilots who did not normally fly in the AUTZ allowed the Gallente to field a fleet that matched the Caldari through the early hours of Sunday morning, not just holding the level steady but actually clawing out another 4% of gains before downtime. As pilots logged back in to continue the marathon battle on Sunday, Gallente system control had reached a high of 88%. In the first day of fighting, Gallente forces had taken the system as high as 75% before it slipped down to 65% at downtime. A day later, the Gallente gained another 23% and were up 13% on their previous peak, having locked in their gain by apparently overcoming the dominant CalMil AUTZ. Kehjari now showed on dotlan as the most violent system in New Eden with over 1500 kills in the previous 24 hours, more than the whole of Fountain, the most violent nullsec region at the time, despite the fact that the fleets on field never exceeded 50 pilots for either militia and fleet sizes averaging in the 30-35 man range. For both sides, there was everything still to fight for. Another day like Saturday would put the Gallente within a hair’s breadth of victory, but if CalMil could cut their daily gains still further, they could look to roll on with this momentum and bring the onslaught to a halt. Despite the strong GalMil showing in AU leading up to downtime, the 30 minute break led to some of their numbers melting away, while Caldari numbers grew. The Caldari defence surged, and their fleets were able to win almost every plex in the following 4 hours, wiping out 16% of the Gallente gains by 1500. They helped by a complete set of fresh plex spawns after downtime. As early EUTZ approached, the battle was reaching its crisis point. The next 18 hours would determine the fate of the system. As fate would have it, an unexpected event suddenly changed the battlefield dramatically in a way none of the participants could have foreseen. The ominous message that Sansha’s Nation wished to expand its borders heralded the arrival of a new player in the game: an incursion had spawned in the Urpiken constellation, adding rats to gates but more critically, acting as a cyno jammer for all the systems in the constellation, including Kehjari. The logistics of an FW system battle are at the same time both simple and complex. Ships constantly need to be replaced and must be jumped into the system either to a station for the defenders, or to a POS for the attackers (if the attackers are staging in system for optimal reaction time). Since there are no corp or alliance sources of income in FW, pilots make their living with untaxable loyalty point rewards. This limits to the numbers of ships that can be kept on hand in alliance stockpiles. Corps were handing out thousands of ships per day in Kehjari, not just to replace losses, but also because each new pilot, who might join the fight for only a couple of hours, needs to be given ships for each of the numerous doctrines an FC might call for. Many of these ships are ‘lost’ when the pilot holding them logs out for the day, and the numbers of each doctrine that will need to be replaced on an ongoing basis are unpredictable as FCs call for doctrines depending on preference and need. Both sides now faced the fact that their standard method of resupply had been cut off. The defenders could no longer bring jump freighters to the station, and the attackers, while still able to JF to their supply base in Eha, could no longer easily move carriers full of fitted ships to their POS. Logistics easy mode was switched off and both sides were forced to adapt. Late afternoon and early evening on Sunday saw a number of interesting events that set in motion by the appearance of the incursion. The Gallente Militia initially decided to continue using suitcase carriers to bring ships in via the gate from Martoh to Kehjari, the system between Kehjari and their home system of Eha, despite the periodic presence of Goey Kihal and his Kehjari gate camp. Initial attempts were successful, but eventually, JUSTK’s veteran pilot Veskrashen was pointed on the Martoh side of the gate. CalMil forces rushed to get more points on the stabbed carrier before it warped away but failed, and with the CalMil fleet warping to the wrong gate in pursuit, the Archon managed to slip back to safety in Eha. With the Caldari FC now taking his fleet over to Eha as well, a faction/T2 cruiser fight broke out in the Gallente home system, leading to a number of Guardian and cruiser losses for the Gallante after the judicious application of the power of a neuting Armageddon. Not wanting to risk either the ship or the great morale boost the Caldari would have gained from killing a capital, Gallente leadership determined that there would be no more carrier runs in the immediate future. Turning to other options, the Gallente began scanning down and scouting the wormholes in Kehjari to find one that could be used to bring in supplies from highsec. They found a suitable candidate emptying out near Hek, and so began a long and arduous effort to keep deep space transports rolling in with the supplies needed to maintain the pace of the fight. The Caldari Militia leadership also found the same wormhole and made their own plans to bring hundreds of replacement frigates and destroyers in, bringing a freighter-worth of cargo 25 jumps from Jita. The cargo was divided between two freighters to minimize the risk of a gank, and was then recombined into a single load near the hole. The heroic Charon pilot then began his unescorted journey into Wormhole space and back out onto the battlefield in Kehjari. What the pilot did not know at the time was that his ship had been spotted by the Gallente’s own transport convoy and that they were considering destroying his ship and its precious cargo. However, unwillingness to take the combat fleet out of the plexes in Kehjari and so cede them to the Caldari combined with a Gallente focus on their own supply mission led to the freighter being allowed to wheeze its way into the station, bringing in 1.1 million cubic metres of ship hulls and mods to throw into the battle. Both sides largely managed to sustain themselves for the rest of the fight using this indirect, dangerous and laborious route, although the Gallente forces found themselves compelled at times to pod themselves back to Eha and bring in new ships fitted with stabs to avoid the blocking Caldari gate camp. This logistics work took its toll on a number of the Gallente pilots, who found themselves struggling with the double role of fighting and hauling at the same time, bleeding pilots from the battlefield and tiring out those using alts for the supply runs. The Caldari FC was understandably happy, having gone into the fight with the intention of destroying Gallente ship stocks. The Gallente logi had not been primaried in order to encourage their DPS to stay on the field where it could be destroyed. This meant using brute force to smash his way through the strongly repped DPS ships while his own fleet took heavy damage, but he was successful in burning through significant amounts of the hard-pressed enemy supplies. The Gallente were back on field very soon, but the Caldari were able to extend their period of dominance out beyond the limit of the AUTZ and into EU prime, something that had not been achieved before, continuing to bring the system down until 2030 when it reached 67%. For the first time in the battle, Gallente system control was brought down to below where it was the previous day at the same time. Gallente numbers began to thicken at this point, and the same gradual grind upwards against Caldari fleets desperate to slow them down started for the third night in a row. By midnight, the Gallente forced system control back up to 75%, and the powerful Gallente USTZ took it up to 85% by 0600 in the morning. While GalMil had been able to hold and even increase the level of system control between 0600 and 1100 the previous day, fatigue and exhaustion began to kick in on Monday morning. Many Gallente pilots had flown almost continuously since late on Thursday, while many experienced Caldari pilots hadn’t joined the fight until Saturday or Sunday and, whilst the Gallente managed to hold the system steady at 85% between 0600 and 0800, their ability to fight dropped off quickly after this time with pilots starting to slip away to their beds. 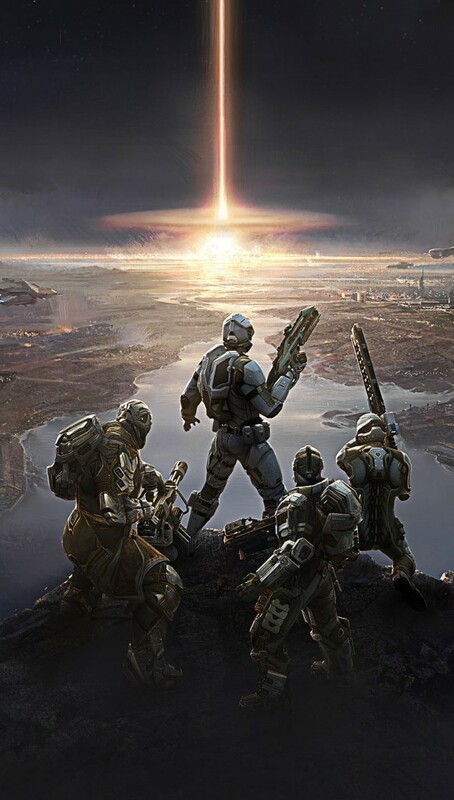 The Gallente were forced out of plex after plex by a resurgent Caldari Militia, pushing the control level of the system down to 76% by downtime. While the Gallente tried to get back in the game immediately after downtime to start contesting the full plex spawn, they logged in to find the Caldari had arrived before them with their whole fleet maintained from before downtime and waiting for the cue on teamspeak. The swift Caldari response and dwindling Gallente numbers ensured that the contested level continued to drop. As the hours of the afternoon passed, Gallente numbers began to swell again but were matched by Caldari, denying them any further plexes. At approximately 1630, shortly after the contested level had been pushed down below 60% for the first time since Friday, local chatter began to suggest that something was up. The system was still within one good day’s push of being taken, but the Caldari were now winning more plexes on a day-by-day basis. While Caldari forces braced themselves for another night’s fighting on the assumption that GalMil would try to reverse the trend over the next 24 hours, the Gallente quietly decided to pack up and go home. Whilst the objective of the operation was to take Kehjari, one motivation for setting that objective was a desire to force fights and none of the pilots involved were disappointed with the quantity or quality of the PvP that took place over the weekend. This, at least, was achieved, and the exhausted Gallente pilots remained relatively cheerful as they began withdrawing from the system. CalMil leadership began to suspect something was up due to comments in local, but the notion that the Gallente had given up only really started to sink in when reports came in of ships being ejected from the reshipping POS and destroyed by the POS guns. Eventually, the local chatter became explicit about the Gallente decision and many GFs were exchanged. The Gallente left defeated and tired but far from broken, while the Caldari forces enjoyed the jubilation that comes from victory in a 70 hour bout of continuous combat. This was only the second time that the Caldari Militia was able to stop a full Gallente assault in the last 18 months, but it also confirmed that the Caldari victory in the 20-day Battle of Hasmijala in January was not a fluke. 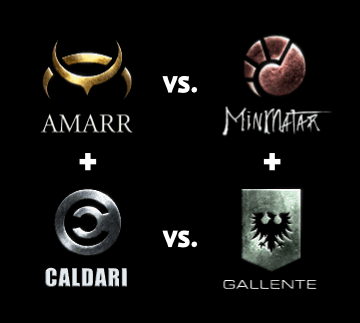 At least when defending their home systems, the Caldari have managed to stand toe-to-toe all year with the Gallente forces that swept the entire war zone last summer. In the aftermath of the battle, some Gallente pilots have pointed to the supply pressure brought on by the incursion as a major reason for their defeat, while others have suggested that there was simply insufficient determination to carry on grinding through plexes. The Caldari, on the other hand, have tended to emphasise the claim that if BLOC had not been missing so many pilots and leadership on Friday, the level of Gallente control would never have reached the critical levels that it did. However, both sides seem to be satisfied by the epic four days of conflict and the content it brought with it. The intensity of the combat in Kehjari relied on the ability of both sides to provide a constant supply of ships to all pilots who turned up to fight, and both the Caldari and Gallente leadership want to express their thanks to those pilots who spent large portions of the weekend running in supplies and building and handing out thousands of ships. Much respect to Chania, Aba, Theroine, Vesk, Smokin, Yuri, Arthur, Crosi, George, Lira, Viscora, Burt, Than and Veronica on the Gallente side and Arla, Espen, Mest, Elnoo, Chich and Islador on the Caldari side for making the slaughter possible.